Last week, BP reported its second oil spill in four days on Alaska‘s North Slope. News reports indicate that the first of these spills is one of the worst ever in North Slope history. As a result, BP now holds the dubious honor of earning the gold and silver medals for oil spills on Alaska’s Arctic coast. Just three years ago, BP’s negligent maintenance caused more than 200,000 gallons of crude oil to spill out from within corroded pipelines onto the frozen tundra. These spills come at the same time that a number of important decisions are being made regarding future oil and gas activities in the fragile Arctic Ocean. Earlier this week, Secretary of Interior Salazar announced that Shell Oil was given the green light to move forward with an oil exploration program north of the BP spill site in the pristine Arctic Ocean, despite the fact that MMS themselves have noted a high risk of oil spills in these waters. What’s more, there is no technology to clean up spills in the Arctic Ocean’s icy conditions. According to Coast Guard Commandant Admiral Thad Allen, the lack of capacity to clean up a spill in the Arctic could spell disaster for the Arctic‘s pristine waters. 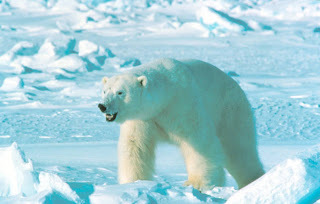 The announcement by Secretary Salazar on the Shell plan is in sharp contrast to Interior’s proposed designation of over 200,000 square miles of America’s Arctic as critical habitat under the Endangered Species Act for the threatened polar bear—including the sea ice of the Arctic Ocean, part of the Arctic National Wildlife Refuge coastal plain, and extensive barrier islands. Shell’s exploratory drilling plans are right in the middle of this critical habitat. The recent BP spills illustrate that chronic oil spills are a fact of life in Alaska. Over the past 14 years, more than 6,000 spills have been recorded on Alaska’s North Slope – including BP’s massive spill in 2006 and last week’s spills. Yet the conditions surrounding BP’s oil production are tame in comparison to Shell’s uncharted course. The BP spills occurred on land in the middle of the existing Prudhoe Bay industrial complex where operations have been ongoing on for decades. Despite this, the scope of last week’s spills went unrecorded and unmitigated for days because icy conditions kept observation planes grounded and prevented clean-up crews from accessing a large portion of the spill after it was discovered. Meanwhile, Shell is planning to drill in the middle of a pristine ocean that has been called the least studied and most poorly understood place on earth. An oil well blow-out could leave oil in the waters off the vital coastal habitats of the Arctic for decades, killing polar bears, whales, seals, fish and birds and decimating Arctic communities that have depended on the ocean for their food and their way of life for thousands of years. Decisions on oil and gas development in the Arctic Ocean should be part of a comprehensive, ecosystem-based management plan that errs on the side of protecting living marine resources already stressed by climate change and the opportunities for subsistence. Please take a moment to let President Obama know that oil and polar bears don’t mix and the polar bears deserve real protections for their habitat.